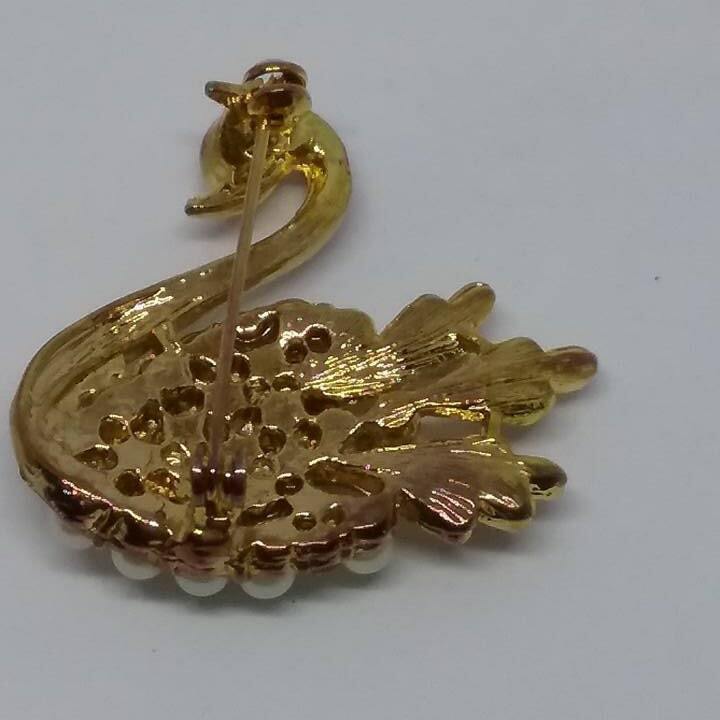 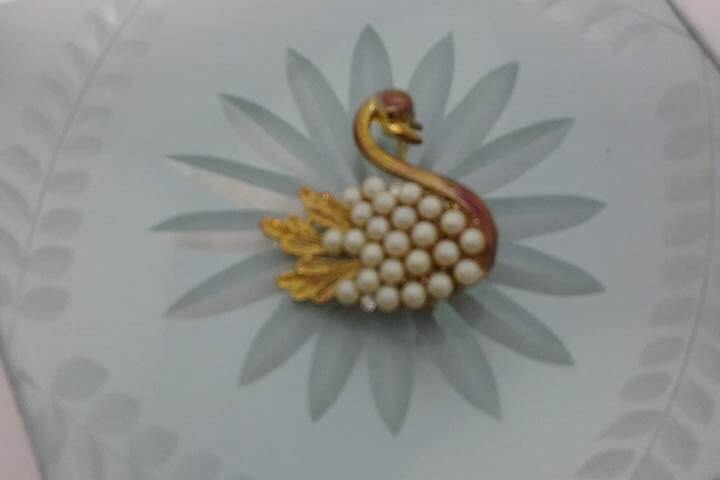 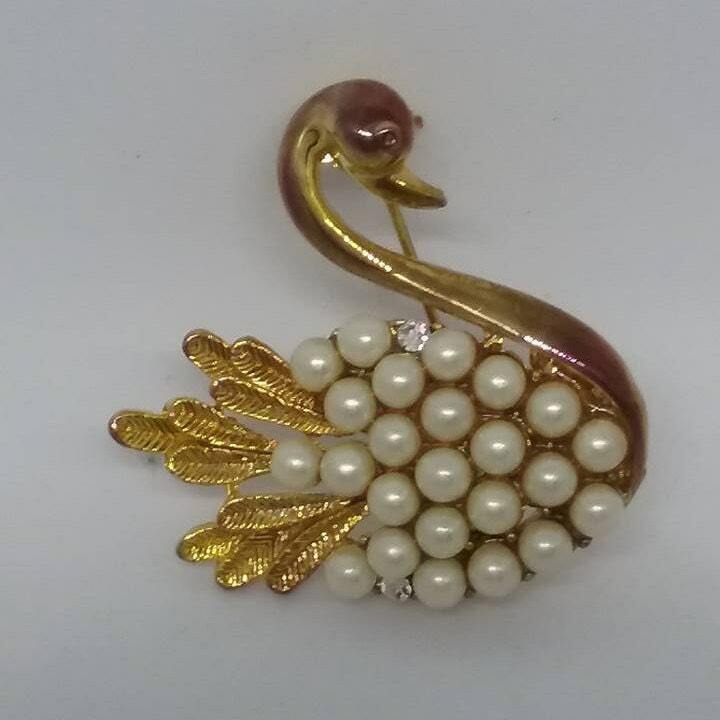 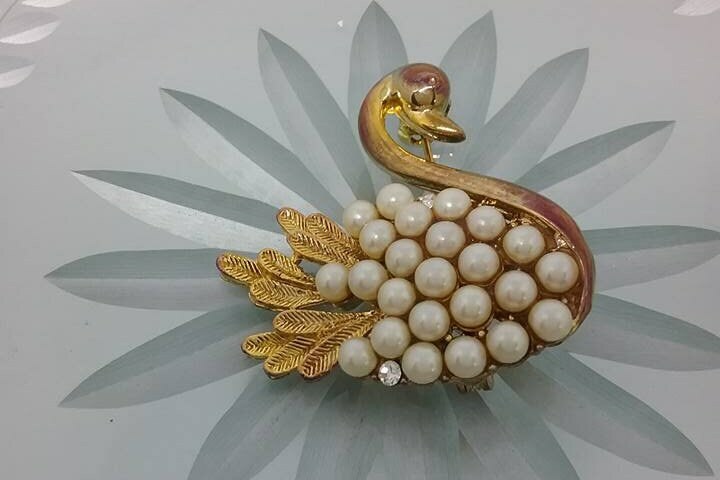 Vintage swan brooch, Body is made up of faux pearls and two rhinestones, and the feathers are detailed in gold from chest to head. 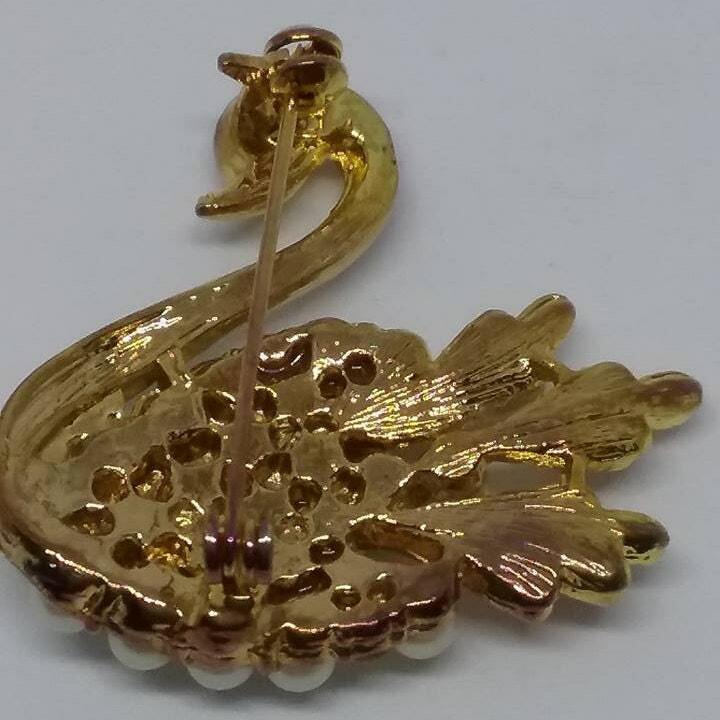 Gold in color with two jots of indigo to add sparkling beauty, This brooch is in very good vintage condition. 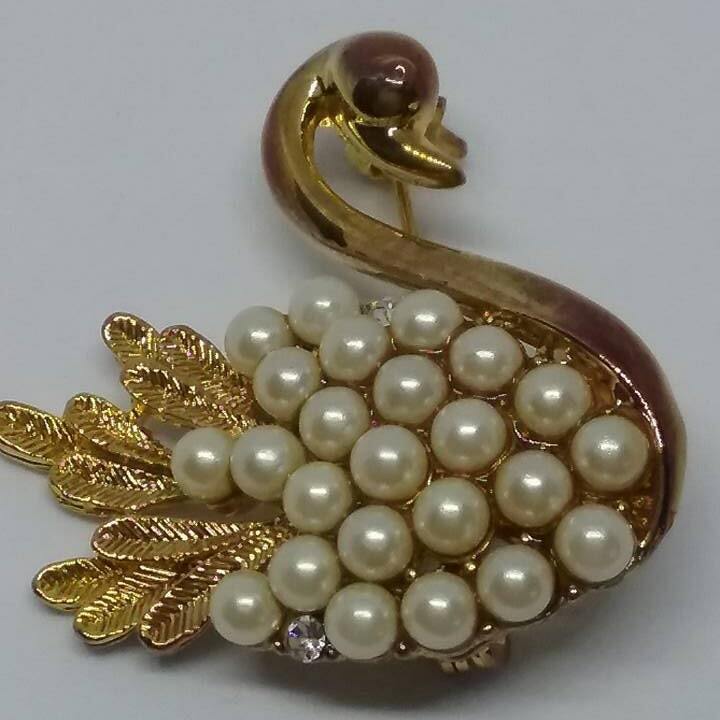 (the two rhinestones may have been added)....regardless the price will make you want to add it to your collection....it is a stand out.